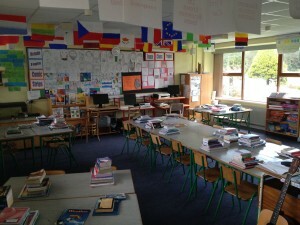 Our classrooms are spacious and comfortable and are all fully equipped with interactive whiteboards, computers, laptops, visualizers and all of the art, maths, and language resources that could be needed. All of our classrooms, have in the past, been modified with sound systems to aid those with hearing impairments. We are very fortunate to have 2 large playing fields on the school grounds which see hurling, football, soccer and many more games played on it every single day. Our school has plenty of sports equipment including parachutes, beanbags, a range of balls for all sports, hurdles, balances, hoops, racquets, uni-hoc sticks, equipment for sports days, targets, goals, skipping ropes and much more. Our school has a long and proud tradition in various fields of sport. Former students have achieved national honours in hurling, rugby and athletics. Our hurling and football team feature prominently in Co. Galway Primary Schools Hurling and Gaelic Football Competitions. Training and skill sessions are undertaken by teachers both at break times and on specified evenings after school. Our athletics team has also been very successful in recent years in the Annual Manning Inter-schools Athletics and Cross Country Events. We are the current holders of the Cumann na mBunscoil A hurling title. The school is also very proud of its long standing reputation for music. During their time in the school the boys get the opportunity to join the school choir which performs regularly at events in the town as well as at Mass. A regular highlight for many Loughrea people is the Annual Carol Service which is done by a combination of the St. Brendan’s Boys Choir and St. Ita’s Girls choir. An event which always sees the cathedral at full capacity. Every boy gets the opportunity to learn tin-whistle from 1st class right the way through the 6th. Boys who learn music outside of schools are encouraged to bring those instruments and join some of our tin-whistle players in the Banna Ceol which regularly performs at school events. Each year the 6th class boys take part in the Abair Amhrán project in which they learn some Irish songs before coming together with several other schools and a small orchestra to perform for a large audience in the Lough Rea Hotel. In 2016 the school choir took part in the Peace Proms in Galway where they performed with the Cross Border Orchestra of Ireland along with several other schools to a sell out crowd. 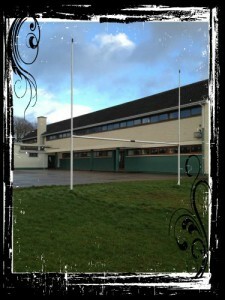 There are a huge amount of extra curricular activities available in St. Brendan’s. Pupils participate regularly in quiz, handwriting, art, board game and creative writing competitions and a number of local and county awards have been achieved. Our Junior quiz team has been very successful in recent years winning through to the All Ireland section of the Credit Union Quiz competition on several occasions. 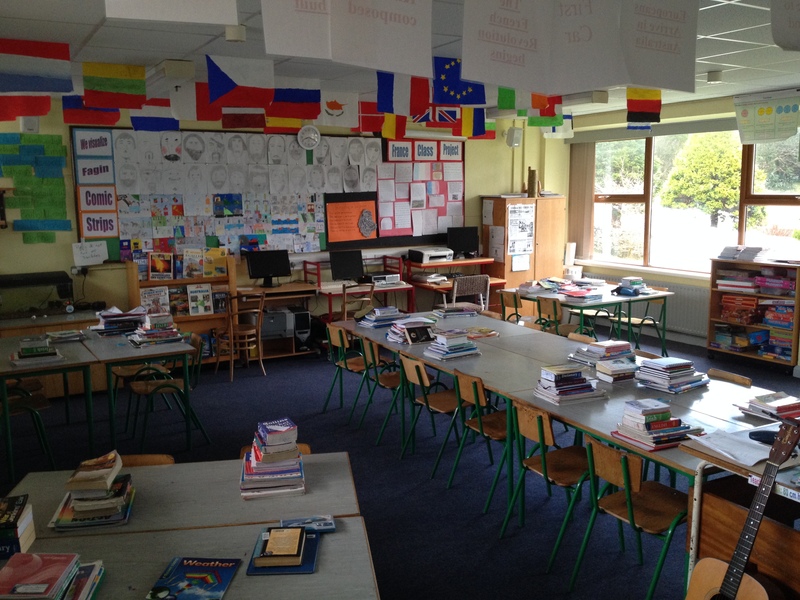 The school also takes part in the Annual Seisiún of music, drama, singing and dance as part of Seachtain na Gaeilge, as well as the St. Patricks Day Parade. 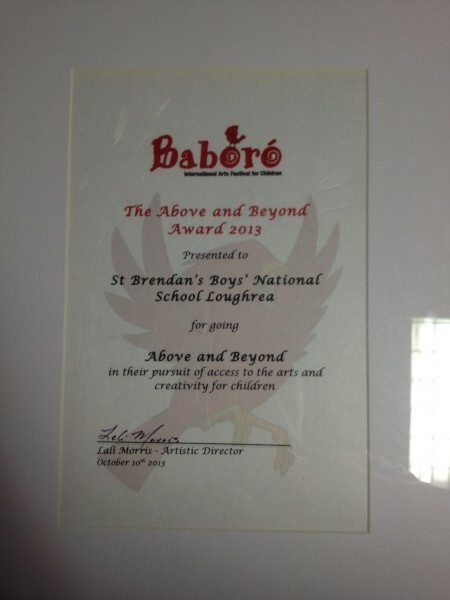 In 2013 the school received the ‘Above and Beyond’ award from Babaro, The International Arts Festival for children, “for going above and beyond in their pursuit of access to the arts and creativity for children. 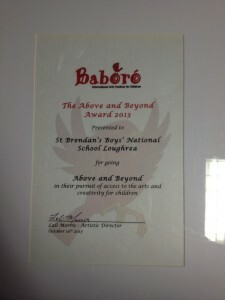 This award was received on the back of work done by the 6th class and Eileen Gibbons (actor and producer) in creating a DVD, Foxes and Donkeys, which was shown at the Galway Arts Festival among others. Each classroom in the school is equipped with an interactive whiteboard. There is also a class laptop along with two or three desktop computers in each room. Each one of these computers has access to the internet and are packed full of educational software for the students to use. The school installed a new polytunnel in 2013 and we have being growing things ever since. 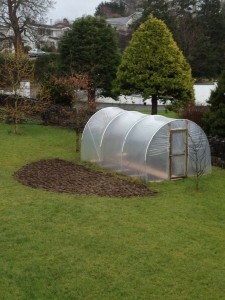 The polytunnel provides the boys with the opportunity to take on the responsibility of growing, watering, weeding and generally taking care of their plants. With the added bonus of course of being able to eat them when they’re ready!!! As well as that daffodils, horse chestnuts and many many more flowers, plants and tress are planted around the school grounds each year. In 2016 the boys won 1st prize in a Bank of Ireland competition to set up a small business with their idea of growing and selling produce in our pollytunnel. Keep an eye on our Gallery to see some of this year’s work!!! The school has a very proud record in its care and attention for pupils with special needs. The policy of early intervention, arising from the results of appropriate tests carried out on all pupils, has served the pupils with needs very well. In addition the professional judgement of the class teachers has been a very important factor in the selection of pupils to be referred for assessment. The school’s educational psychologist, the learning support programme for small groups and the excellent resource support on a one to one basis, provided by our resource teachers, combine to ensure that pupils of varying degrees of need are responded to appropriately.